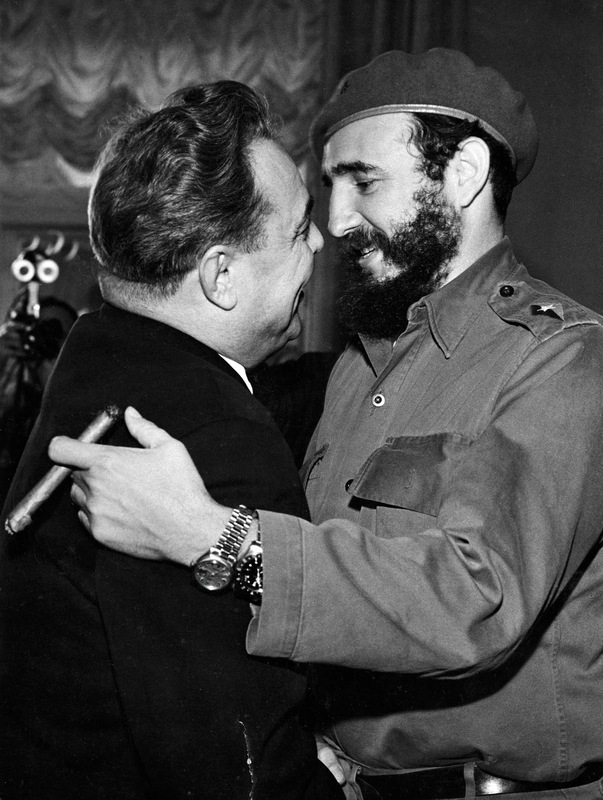 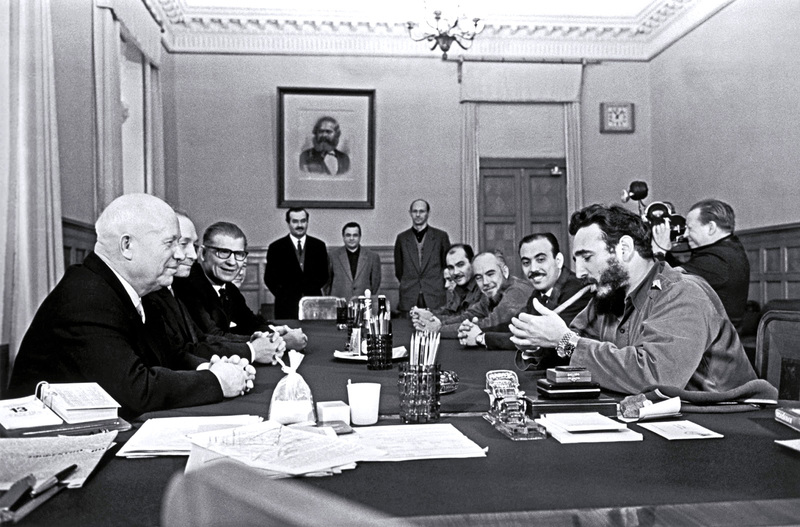 Fidel Castro is pictured below in a meeting at the Kremlin in Moscow in January of 1964, embracing Leonid Brezhnev, and we see Castro wearing his then trademark two Rolex watches on one wrist. 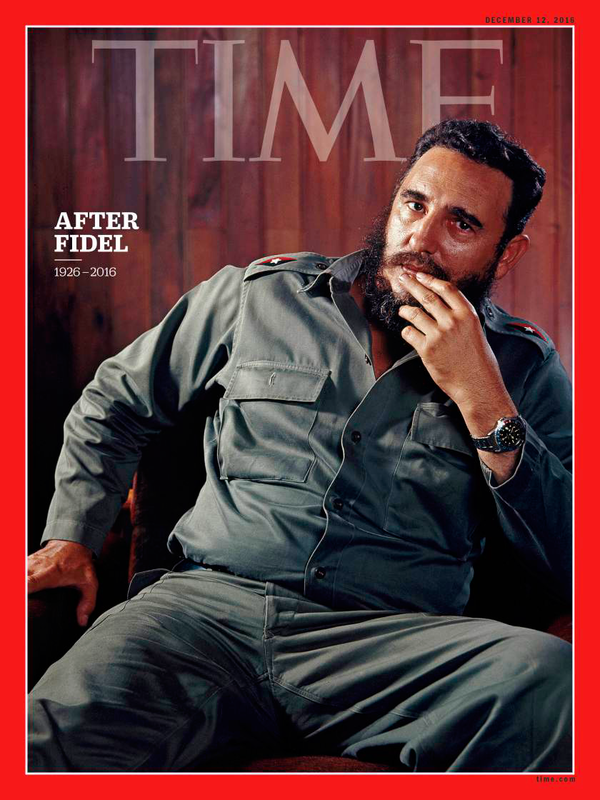 Castro is wearing a yellow gold Day-Date and a GMT-Master on his left wrist. 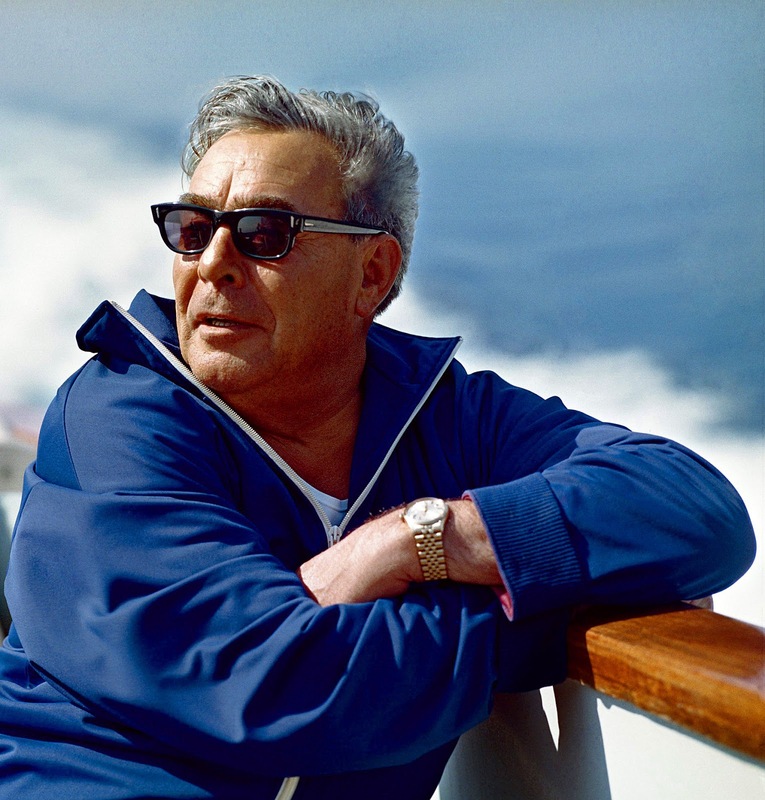 Leonid Brezhnev was the General Secretary of the Communist Party of The Soviet Union, and as we see, he also wore a yellow gold Rolex. 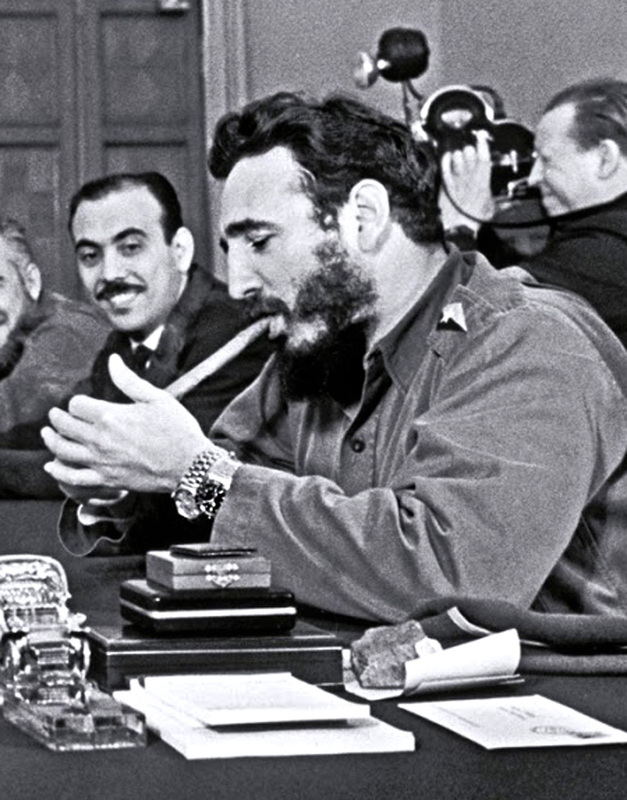 In particular, he wore a yellow gold Datejust on a Jubilee bracelet. 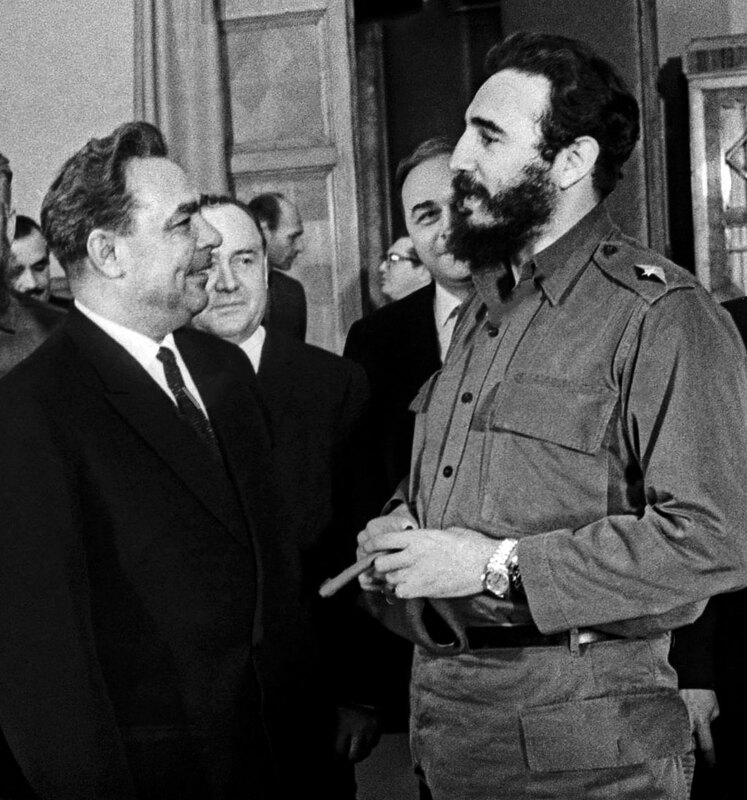 The photo below was taken of Castro's first visit to the USSR on April 27th, 1963, which resulted in Castro spending 40 days touring the Soviet Union.